Occupancy detectors are a huge step on the road to saving energy both in light management and building services technology: The occupancy detector only switches light, heating and ventilation on when it is actually needed. It also integrates the existing daylight into the general lighting, thereby making use of natural resources. 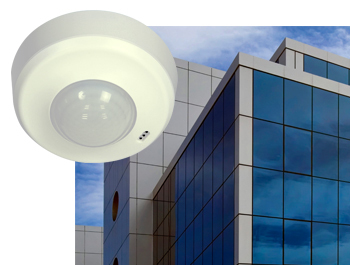 The occupancy detector is a specially designed motion detector for mounting on ceilings for indoor use. It has a detection angle of 360° and since it can measure both daylight and artificial light is able to control the overall brightness. The B.E.G. Controls range includes presence detectors for every application and special requirement, boosting indoor energy efficiency!